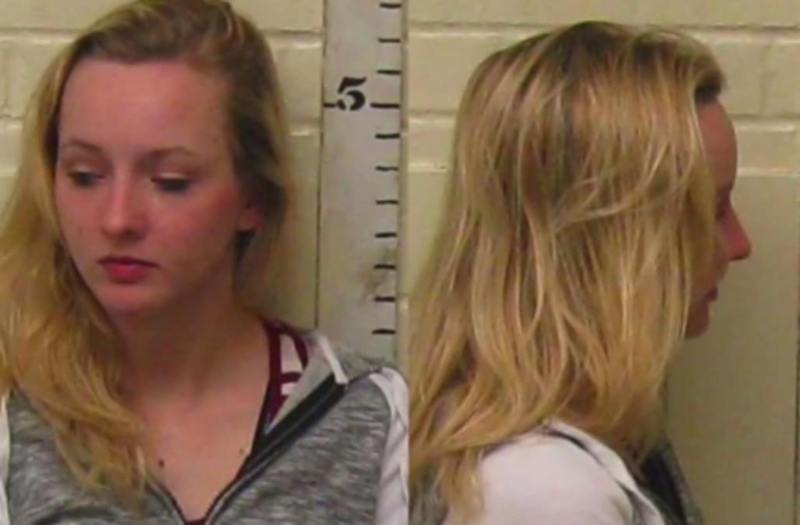 A Texas teen gave police a dramatic account of being abducted and gang raped by three black men earlier this month. On Tuesday, she told them it was all a hoax. On March 8, Breana Talbott, 18, entered a church bloody and wearing only a shirt, bra and underwear. She looked badly beaten. Police had been searching for her since Sam Hollingsworth, her fiancé, had called earlier that evening to report her missing, according to USA TODAY. Talbott's car was found in an apartment building parking lot with the door open, and her phone and keys were recovered nearby. The woman told police she had been kidnapped by three "black males" wearing ski masks, who she alleged took her to the woods and sexually assaulted her. Authorities found clothing and other personal items belonging to Talbott in the woods. From there, the story started to break down. "There were things that just did not add up with what we were seeing," Denison Police Lt. Mike Eppler told USA TODAY. "We've had false reports before, but none to this extent," he told Crimesider. A medical examination did not uncover evidence of sexual assault, and the crime scene appeared to be staged. Two weeks after the incident, Talbott confessed that she lied about the assault and that her injuries were self-inflicted. "Breana Harmon Talbott's hoax was also insulting to our community and especially offensive to the African-American community due to her description of the so-called suspects in her hoax," Chief Jay Burch said in a statement. "The anger and hurts caused from such a hoax are difficult and so unnecessary." Talbott faces a misdemeanor charge for filing a false report to the police. Her story received a lot of attention from white nationalist groups, who said the story proved there is a double standard int he media for white victims of crime.